So, I’ve been using Fedora for a while and wanted to explore the world of Arch. Installed Antergos, but Gnome is so buggy! 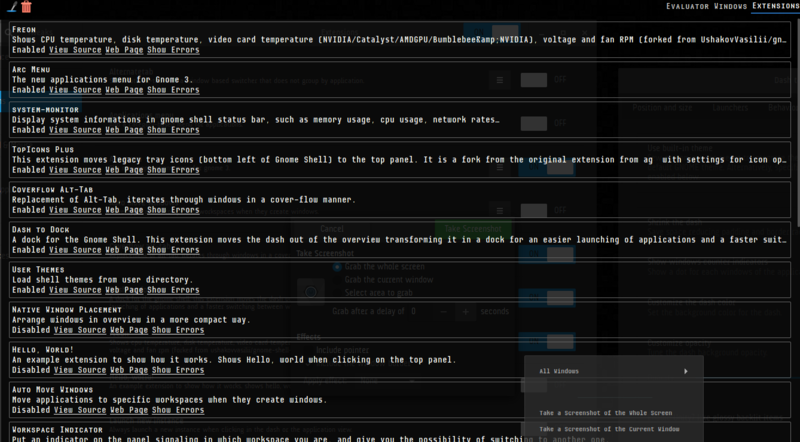 I must add that I tinkered a little with Dash to dock, but nothing out of the ordinary. The only extra gnome tweak I’ve added, is the one making the dock transparent. Disablet it, but still no cigar. This has never happened in Fedora, any solutions? 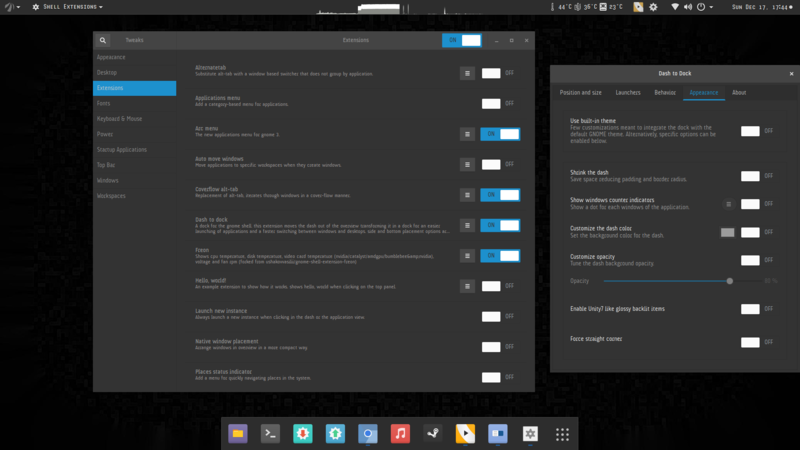 gnome tweak I’ve added, is the one making the dock transparent. do you remove this or only disable it? The not refreshing icons issue in Dash to Dock appeared recently. Not the first bug in this extension, and surely not the last one. And I think it’s not Arch-specific. We’ll have to wait for it to be fixed. i never had have this issue… do you run wayland session? do you run wayland session? Currently I do, but last night I was working with X, and it looked the same. To be more specific: on my device the icon representing just opened app appears in dock after delay of 20 second. It also vanishes 20 seconds after I close the app. Temporarily I installed the Taskbar extension to replace broken Dash to Dock features. Ok, here is how i did it. I did a clean Antergos install, updated all gnome extensions via website, and enabled the ones i needed one by one. That did the trick for me, and I have no more issues (expet that the numix round icons are not working, but I can live with that). @piotr Thankfully I had just started tinkering with Antergos. It’s going to be my daily driver now on my home PC (have a win 10 partition for games and HBO Nordic tho). BTW: this seems to have nothing to do with the Dash to Dock extension itself. Even if I uninstall the extension, Dash icons still behave the same way. @piotr Top panel transparency breaks stuff in gnome 3.26. Try turning off all extensions using the Tweak Tool and see if problem persists. From there you can enable one at a time in order to troubleshoot. Well, I’ve never used any of above on this machine. @piotr The problem could still be an extension. This will bring up a window which could aid in finding the problem. Thanks. Unfortunately none of extensions reported errors. And I’m still afraid it may have nothing to do with extensions at all. @joekamprad Sure, this was the first thing I tried. Even having no D2D extension installed I still have the very same delay of 20 second in appearing and disappearing application icons.